Our new appartment is close to the harbour. 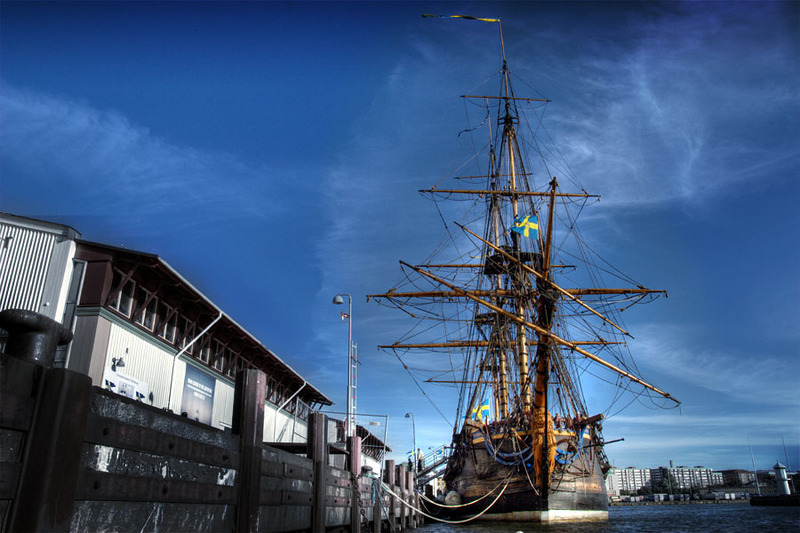 And there stands the Götheborg. This replica ship is named after the city, it went for a round the world tour from sweden to Shanghai in China and way back. The trip was a tribute to the original ship that made the same trip about 300 years ago. On the photo technique side, the shot is an HDR made from 3 frames. Then photoshop gave away some unsaturation on the buildings. I didn't know it was back in Göteborg. I really need to go check it out!